Users who connected Gmail with a third party app may have given people permission to read emails. 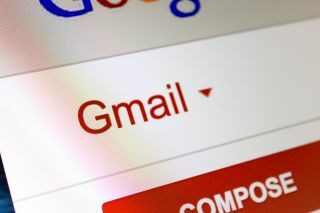 If you had connected your Gmail account with a third-party app at any time, you may have given that app's developers access to your inbox. And – there may have been humans reading your emails. That would allow that third party app’s developers to read the emails, and according to the Wall Street Journal, some developers have already read thousands of emails. The practice was apparently ‘common’ and a ‘dirty secret’ – something Google seems to have allowed, or at least tolerated. Among the companies that have been using this advantage are Edison Software and eDataSource Inc, it was said. The catch is in the user agreements, which seem to be covering this practice. Essentially, users had agreed and allowed for this to happen. Speaking to the BBC, Prof Alan Woodward from the University of Surrey says the problem is that these user agreements are too long and tedious, which is why people don’t pay attention to them. "You can spend weeks of your life reading terms and conditions," he said. "It might well be mentioned in there, but it's not what you would think of as reasonable, for a human being in a third-party company to be able to read your emails."